Our range of products include vga audio over cat5 multiplier and vga over cat5. Keeping in view the changing needs of our customers, we have been successful in offering to our customers a distinctive collection of VGA Audio Over CAT5 Multiplier. Their rugged built, compact size and ability to amplify signals for clean and crisp transmission makes these multipliers a renowned choice of our customers. Besides this, our offered products eliminate the needs for bulky and multi-coaxial Resolution VGA/Video/Audio extension thus maintaining their reliability at the door of our customers. 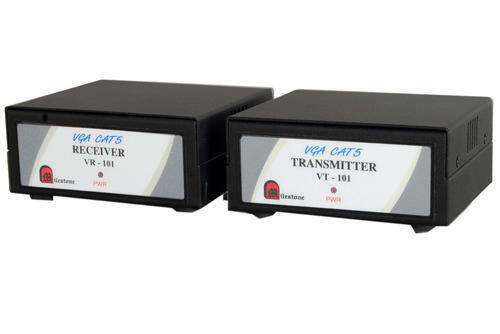 Transmits VGA/Video/Audio on CAT5 cable. Eliminates the need for bulky, expensive and hard to build multi-coaxial Resolution VGA/Video/Audio extension. Differential signaling eliminates ground loops and noise. 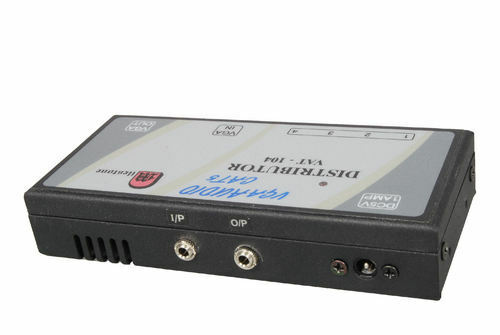 Transmitter for 1 VGA Audio Input and 1 VGA Audio Output, 4 CAT5 Outputs. Transmitter for 1 VGA Audio Input and 1 VGA Audio Output, 8 CAT5 Outputs. Receiver for 1 VGA Audio Input. With the advent of ultra modern tools and techniques together with a competent workforce, we have brought forth a world class collection. To match up with the needs of our customers, offered products are accessible with us in multiple models and technical stipulations to choose from. Also, their conformity with the internationally accepted quality guidelines makes these a favored choice of our customers. Extend a plasma / VGA / Display device up to 300M / 1000 ft from main device . The ultimate out of band solution for the last step in a digital signage set up. The VGA extender is the quickest, most efficient way to more multimedia from main device to display. The VGA extender provides the flexibility you need for a customized digital signage installation, allowing you to position your display device up to 1000 ft / 300M from the main device. Mount display strategically in public view; keep the hardware needed to run multimedia content out of public reach. The VGA Extender is one of the more cost effective ways to get a digital signage system up and running in your place of business. The cost of plasmas / projector with built in CPU can be prohibitive; using a dedicated; out of band system like the VGA extender can lower the cost of display significantly. Looking for “VGA CAT 5 Products”?